LCD Soundsystem’s tragically nostalgic dance-rock epic ‘All My Friends’ is arguably the best indie-rock song of the ’00s. The B-sides to the single were all cover versions, hinting that the song was a classic the minute it was released. Scot rockers Franz Ferdinand, who’d already taken bracing, contorted grooves to the pop charts, were born to do ‘All My Friends’ and they turned in an incisive, raging guitar-grinding version with singer Alex Karpanos boozily crooning James Murphy’s forlorn lyrics about losing touch with your friends as you grow older and more ambitious. Musically, they pull of a wonderful trick of interlaying their version with references to legendary post-punk bands like New Order and the Gang of Four that LCD and Franz share as influences. It’s an A-plus history project you can get way down to. mp3 : Franz Ferdinand – What You Waiting For? I’m quite fond of the first two of the four featured above, not convinced by the third as I’ve no time for the original (albeit Mrs Villain is a fan of Gwen Stefani) while the latter is fun enough for the fact that Girls Aloud are on backing vocals! I never ever got round to mentioning that the FFS project turned out to be one of the best surprises about 2015. The idea of Franz Ferdinand and Sparks combining into a supergroup for an album and live performances didn’t seem like a good idea when first mooted but then I gave the album a listen and was pleasantly surprised at how good it was but that was nothing compared to seeing them perform at the Glasgow Barrowlands which turned out to be a fun-filled and hugely entertaining gig. This was the night when I did truly understand the FF boys were born to do cover versions. 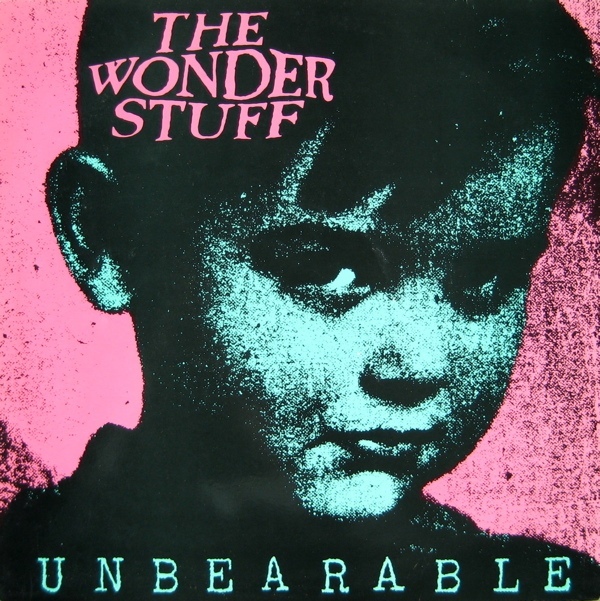 The Wonder Stuff signed with Polydor Records not long after and over the next six years went on to enjoy a great deal of success with four Top 10 albums and a bundle of hit singles including a #1 hit when they backed Vic Reeves on his remake of Dizzy in October 1991. But with the success came the critical backlash and there was a feeling among the band that it wasn’t much fun anymore. Much of their enjoyment in the early days came from the live performances and having caught them of an evening at the Glasgow Barrowlands in 1989 I can vouch for how good they were – it was a frenzied, boisterous and incredibly entertaining night – but as the venues got bigger and the set lists had to become centred around all the hits (especially the one that wasn’t really theirs) there was a sense that it was all getting a bit routine and treadmill like. A few months back, a work colleague brought my attention to an article on Page 38 of Volume 416 Number 8949 of The Economist (published since September 1843). The subject matter isn’t all that new….various t’internet boards have mused on Moz and Mexicio for more than 15 years now…but I thought it was worth passing on to TVV readers. “The lugubrious strains of Heaven Knows I’m Miserable Now waft across a sunny beach in Acapulco. If that song in that setting surprises you, then you do not know about the strange affinity between Mexicans and Morrissey, the morbid, underdog-loving front-man of The Smiths, a British band of the 1980s, who then went solo. In Mexico City a band called Mexrrissey is hard at work recording an album of his songs in styles ranging from trumpet-blaring mariachi to throbbing norteño. Its creator, disc jockey Camilo Lara, calls it Girlfriend in a Conga, a play on one of The Smiths’ wickedest songs (which puts the girlfriend in a coma). It’s not a tribute album. 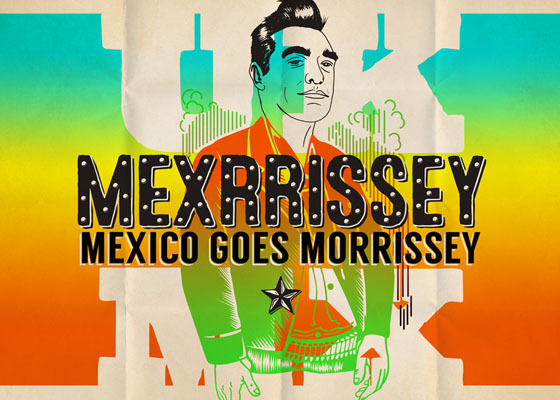 Morrissey’s lyrics, dripping with black humour, are translated into the mischievous Spanish of Mexico City. Morrissey’s First of the Gang to Die, about a murdered gangster, fades out in its Mexican version with ay güey, pobre güey (“hey dude, poor dude”). Mr Lara says the bitter melodrama of Morrissey’s poetry strikes a chord in Mexico, where even in soap operas the poor make it up the social ladder only through lies and deceit. In Mexican street music, the exuberant melodies overlie bleakly funny lyrics about loneliness, depression and self-pity. The jubilant trumpets, like Johnny Marr’s guitar in The Smiths’ heyday, can strike hammer blows to the heart. Among Chicanos in the United States, Morrissey fandom is even more intense. He returns the affection with almost ludicrous tenderness. Famously, he once described Mexicans as “so terribly nice. They have such fantastic hair and fantastic skin and usually really good teeth. Great combination!” As the son of Catholic Irish immigrants to Britain, he appears to empathise with uprooted émigrés to the United States. In “Mexico”, Morrissey sings of breathing “the tranquil cool lover’s air/ but I could taste a trace/ of American chemical waste/ and the small voice said: ‘What can we do?’” Chicano concert-goers sport “Moz” tattoos. In his autobiography Morrissey describes the Mexican gait with the bemusing eccentricity that is one of his trademarks: “There is a certain Mexican movement of the head, telling we from elsewhere that they know very well how they are thought not to matter. Because of this they have abnormal strength and love, with anchored hearts beyond the imaginations of royal dictatorships.” That makes Mexicans swoon. “There is this violent country. And then there is this Brit from Manchester who sees us with eyes of love,” Mr Lara says. Morrissey has not endorsed his album. Nor did he comment on Mexrrissey’s sold-out concerts this year in London’s Barbican theatre and elsewhere, where fans sang along in English over the Latin rhythms. Incidentally, I still haven’t gotten round to buying Moz’s debut novel far less reading it. The various reviews indicate that I’m not missing much. Quick reminder that I’m looking for readers to e-mail me lists of their Top 10 LPs for 2015 so that I can submit a collective entry for the BAMS 2015. Click on this post for more background. The song is significant for being the recording debut of Sheila E, the singer/drummer/percussionist who would not only become integral to the output of Prince over the next five years but would later go on to enjoy a reasonably successful solo career. I was also intrigued by the fact that among the small number of acts who have been brave enough to tackle a cover version are this lot who got a mention on T(n)VV a short while back for what I had thought would have been the one only time and so I went out and tracked down the CD single on which it appears as a b-side. It sounds, rather sadly, like a wedding band’s take on it. Limp and hugely uninspiring. And a contender for a place in the Top 10 worst covers of all time which is shaping up for a post at somepoint in the future. There’s a cracking 10-track compilation LP sitting in the cupboard; actually there’s a few but for today there’s just the one under the microscope. It’s called A Different Kind of Tension – and it’s not to be confused with the LP of the same name by Buzzcocks – that was released in 1986 on the Pressure Of The Real World label. It has the prefix PRLP1. I have no idea at all whether there was ever a PRLP2 or any other release at all on the label. Google search came up with nowt. It was an album I picked up back in 2008 while temporarily living in Toronto and it cost me the equivalent of £3. As it turns out, two of the tracks on the album were also included on the CD86 compilation and were part of that recent 48-part series. The idea of today and next Sunday is to offer up the other eight songs as a postscript or perhaps more appropriately, an encore to the series. Songs 1 and 2 were on CD 86 as too were different songs by the bands performing songs 4 and 5. One Thousand Violins formed in Sheffield, and the featured track is a b-side from their debut single Halcyon Days on Dreamworld Records which was released in 1985. However, it proved more popular and so enduring that it ended up gathering enough votes to make John Peel’s Festive 50 the same year. Further singles and an album soon followed, but before long musical and artistic differences led to them breaking up. The Wolfhounds rather splendid ditty Anti-Midas Touch was on CD86. This however, is their 1986 debut single on Pink Records. Now come on…..all of you knew it was only a matter of time before the great man made an appearance…. The fact he’s as low as #32 might surprise some of you, while the fact I’ve gone for a single that isn’t one of his better known may make it a double surprise. Are you interested enough to learn that Edwyn Collins released about a dozen or so singles in the UK as a solo artist over the best part of 20 years up to 2008? And of these only A Girl Like You bothered the charts. But then again, it bothered the charts all over Europe and beyond (#6 in Australia…), making Edwyn more money for that particular four minutes of work than the rest of his recording career, and indeed his producing career, put together. So to the majority of people, Edwyn Collins is a something of a one-hit wonder twice over – with Orange Juice and Rip It Up in 1982 and then A Girl Like You in 1994. Having said that, the arrangement from the chart heavyweights would probably have made it unrecognisable from the original…. I’ve got both CD 1 and CD 2 of this single as well as a 12″ vinyl version, and between them, they offer up an additional seven songs as ‘b-sides’. The first of these tracks is a cover version of a song from the 70s, originally released by Python Lee Jackson (with vocal by Rod Stewart). The second is a re-working of the title track of an earlier solo LP by Edwyn. The third is an instrumental clocking in at over 8 mins in length. Somehow I don’t think this will be the last appearance Edwyn makes in my nostalgic and self-indulgent consideration of great 45s.